i’m not typically into techno/electronic type music but crystal castles is one duo i do like. i find it hilarious that they’re named after a she-ra reference. their new album seems a bit more poppy but it’s still pretty decent. i guess i’d call it a bit more ambient. anyway, check them out if haven’t already. 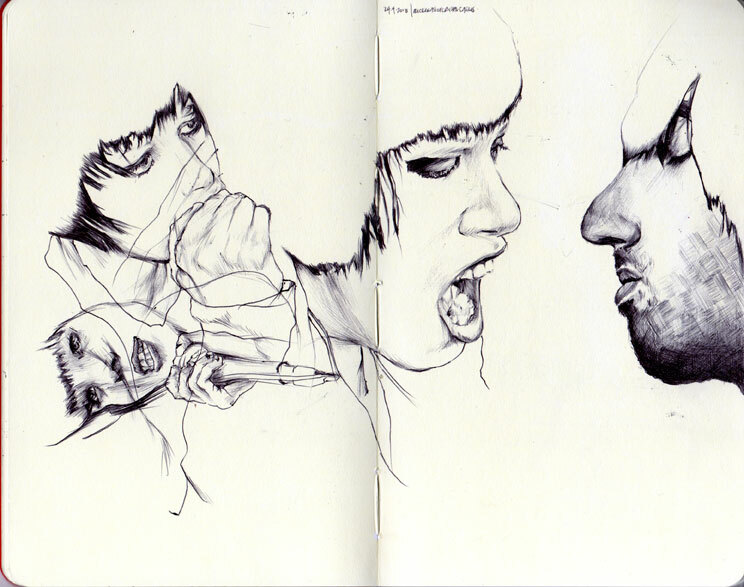 alice glass and ethan kath in moleskine.